Dead Oceans would like to present the official music video for Sun Airway's "Put the Days Away," directed by Ricardo Rivera of KLIP Collective. Night has fallen upon Philadelphia, and our heroine is making her way through the streets on her bicycle. Something is wrong, and the sight of happy couples are certainly not helping. She arrives home, soaked from the rain and begins to put the day away. Her unconscious mind becomes animated for us, a gorgeous combination of visual projections previously seen for Sun Airway's "Oh, Naoko," "Infinity," and "Waiting On You." Click here to watch and embed "Put the Days Away" by Sun Airway. 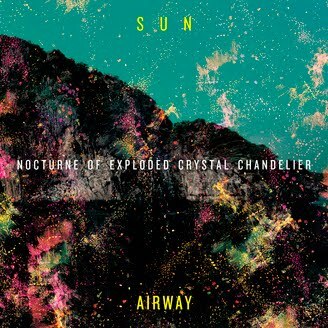 Sun Airway's much-anticipated album, Nocturne of Exploded Crystal Chandelier, will be released on October 26th in North America and is now available for pre-order at SC Distribution. All pre-orders include an instant MP3 download of the entire album.